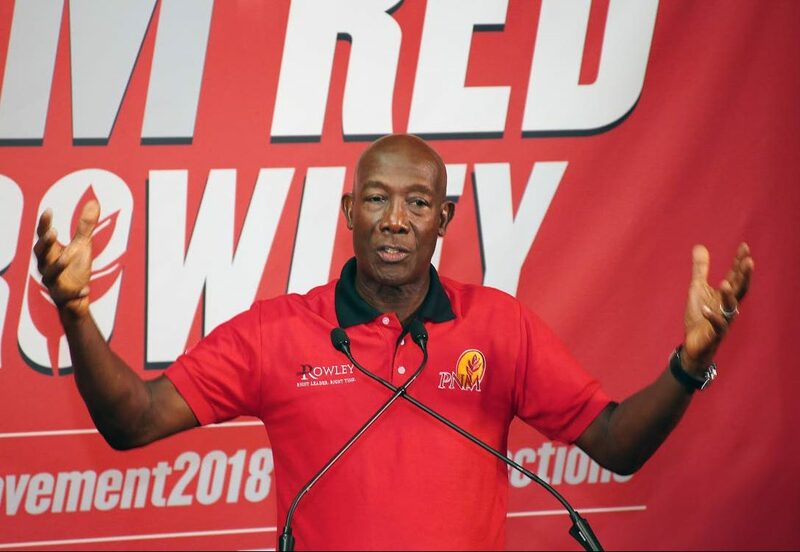 Prime Minister and political leader of the PNM Dr Keith Rowley is likely to announce significant policy decisions when the party meets next Sunday for its 48th annual national convention at the Shaw Park Cultural Complex. Speaking with Newsday Tobago on Wednesday, PNM Tobago chairman Stanford Callender said he was pleased when the party decided this year’s national convention would be held in Tobago with Dr Rowley carded as the feature speaker. “…What the Prime Minister will do is talk about some opportunities that would be created not only in Tobago but in the country. The fact that the convention is being held in Tobago, there would be special emphasis on Tobago, because also addressing the convention would be the Minister of Planning and Development and Lady Vice Chairman of the party, Camille Robinson-Regis. We also expect that our Chief Secretary and political leader here in Tobago (Kelvin Charles) would be doing some opening remarks,” he said. The chairman revealed the last national convention held in Tobago took place when George Chambers served as political leader and PM. Callender admitted he is excited and eagerly anticipating seeing the entire PNM family in Tobago. “The political leader would have signalled that at the last convention held last year that he expected the next convention to be held in Tobago. Now, any such event in Tobago, we obviously welcome it because it is an opportunity for the wider PNM family to be in Tobago where there is greater interaction with your friends who you would only see at general council, and some of our members might hardly get in contact with them unless you go to Trinidad for the annual sports and family day. So it’s a good idea for us for the convention to be held in Tobago,” he said. Titled, “Creating opportunities for a brighter future”, Callender said after registration at 8 am, the conference would be called to order at 10 am. He said the agenda for the morning session, reserved only for delegates and party members, includes the adoption of reports and debate on resolutions. There are some reports to be tabled for the approval of the convention and four resolutions for adoption. “The party is divided into three, and Tobago is group three. We would have delegates speak on certain issues as it relates to the convention document, so that is the kind of format. At this convention, because the one man-one vote system came into place, there is no voting, but the political leader will appoint the deputy political leaders. “The political leader for the Tobago Council automatically becomes one of the deputy political leaders of the party, so we don’t have to elect him again, that is the only one that we don’t have to appoint because the people of Tobago would have elected their political leader,” Callender said. PNM Tobago PRO, Kwesi DesVignes said the mood of the party’s faithful going into the convention was very buoyant. “People are looking forward to it… I think Tobagonians are looking forward to giving off the Tobago hospitality, so people are definitely looking forward to it both in Tobago and in Trinidad,” DesVignes said, adding that they are expecting a turnout of about 4,000 supporters. Reply to "Emphasis on Tobago at PNM convention"